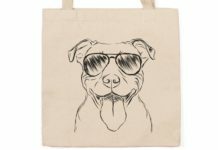 Whether you’re looking for a gift to give your favorite pit bull owner, something to decorate your home with or an item that will tell the entire world that you’re a giant pit bull fan, you’re certain to find something that fits your style among the many pit bull accessories that can currently be found nowadays. It doesn’t matter if you want a whimsical pit bobble-head, a cute car magnet or something to remind you of just how much you love this dog breed, you’ll probably find what you need among all of the following fun, cool and innovative pit bull themed items. Is there any way better to show your love for your pit bull than by putting a magnet on your car that features the saying “I Heart Pit Bulls” at the bottom of a giant paw print with the silhouette of a pit bull inside of it? Probably not, yet that’s exactly what this pit bull car magnet offers. This high-quality magnet is UV-coated to resist sun fade and is designed to not be easily scratched. It can be placed on your favorite vehicle or on any metal surface upon which a magnet will stick. 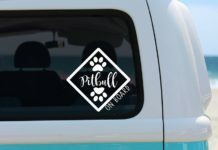 It’s a great item for a pit bull lover’s vehicle or to give as a gift to someone who’d appreciate it. This bone-shaped car magnet is 2-inches by 7-inches and has the sentiment “I Heart My Pit Bull” in the middle of it in high-gloss UV ink that’s designed to resist fading in direct sunlight. It’s the perfect present to give yourself or your favorite pit bull enthusiast. This magnet can be applied to cars, trucks, mail boxes or any other metal surface where magnets will naturally attach. 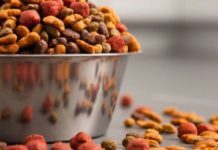 Once put on your favorite surface it has enough magnetic attraction to stay put, which makes it a great way to tell other drivers on the road just how much you love your dog. This 60-inch by 50-inch pit bull fleece throw is made from 100% polyester that has hand-stitched edges and a beautifully printed image of several pit bull outdoors. This fleece can be easily machine washed and dried and can be used either to cover yourself up with, as an accent to your bed or hung on the wall as a wall hanging. It can be used anywhere around the home or it can be given to a pit bull fanatic as a very appropriate gift. It can also be used as a cover or something to lay on for your favorite pit bull. This pit bull salt and pepper shaker feature a whimsical figure of a pit bull holding on to two removable glass salt and pepper shakers. It’s approximately 7.25-inches high by 3-inches and is the perfect complement to any pit bull lover’s dining room table. The salt and pepper shakers are made of glass and the pit bull figurine is made of cold cast resin. The only thing required is for you to add your own salt and pepper. This attractive set is sure to spice up just about anyone’s kitchen and also makes a great gift for friends and loved ones. This simple yet decorative 8-inch wood sign has a rope attached for hanging and is designed for indoor use. It features the picture of a pit bull on one side and the saying: “It’s Not A Home Without A Pit Bull” next to it. 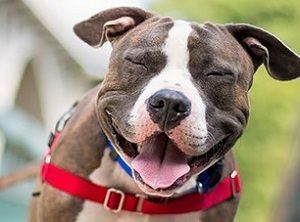 It can be given as a gift to your favorite dog lover, pit owning relative or can just as easily be hung in your own home to tell the world just how happy you are to be a pit bull owner. This sign can complement just about any room of the home – from the living room to the bathroom. Bobble heads tend to be fun and this one is no exception. This pit bull bobble head stands 4.5-inches tall and is made from a hand-painted poly-resin. 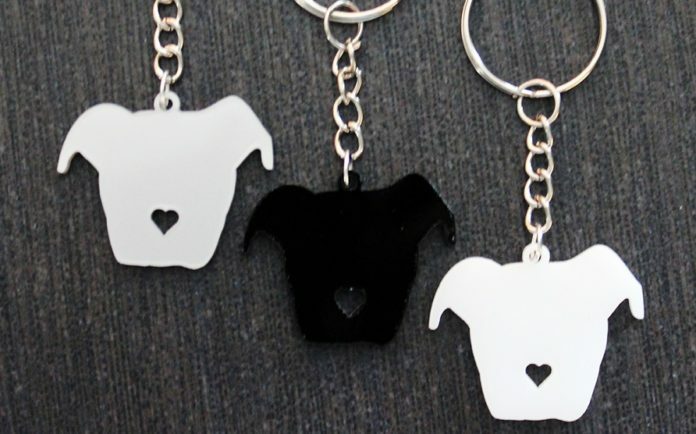 It comes in a variety of colors – from brindle to black & white to blue to red and makes a great gift for yourself or for a fellow pit bull owner. It can be placed just about anywhere, even on your car’s dashboard if you secure it with some glue. This bobble head can be enjoyed by anyone age 8 to 80 and is sure to brighten the spirits of anyone who sees it – especially pit bull owners. This tan and white pit bull ornament can easily be hung on your own Christmas tree or given to family members and friends for some holiday fun. It features a pit bull holding a bone in its mouth with its feet dangling below it. The bone can be easily personalized using a marker and this ornament makes a great stocking stuffer. This hand-painted ornament is only 4.6-inches high but still manages to deliver quite a bit of pit bull-themed fun. This ornament is made from poly-resin, so it’s built to last not just one holiday season but many of them. Looking at this item, a person might be tempted to ask whether it’s a wine bottle holder or whether its a decorative statue. However, it’s actually both. Left on the table, it’s a decorative sculpture but place a wine bottle in it and it becomes a whimsical wine bottle holder that makes it look like the pit bull is trying to take a swig from the bottle. This sculpture measures 10.5-inches by 4.5-inches and is approximately 6.75-inches high. 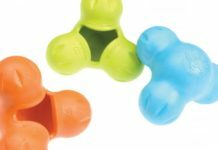 It’s made of a durable poly-resin that ensures that this product will last quite awhile and provide you with a lot of whimsical pit bull-themed fun. These pit bull-themed water-slide decals are designed to be trimmed, soaked in water and then slid onto the nail to be positioned. They are then supposed to be covered with a clear top coat to preserve them. Once this 20-pack is on your fingernails, however, they will loudly proclaim just how big of a pit bull fan you are with their design which alternates between pit bull silhouettes and “I Heart My Pitbull” slogans. These nail art decals will add some style to just about anyone’s hands or can be given to friends and family members who do their nails on a regular basis as gifts. Designed as a zipper enhancement or to be added to a dog lover’s bracelet, this charm has a lobster clasp that easily connects it to either piece of clothing accessory and can be used to add a little bit of style. 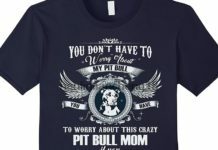 With the sentence: I Heart My Pit Bull on the front of it, it will also proudly tell the world just what place your pit bull holds in your heart. This very small charm can also be given as a gift to your favorite pit bull family member or friend and can even be used as a stocking stuffer during the holiday season.